"It�s hard to beat the seaside beauty of central Vietnam, but perhaps one of the best places to experience it is the Cham Islands. A short distance from central Danang are some of the least travelled islands in the country, and they still boast a pristine, untouched charm. These are arguably the best places for diving and snorkelling in Danang, too, so adventurous travellers have plenty of reasons to head out to these lesser-known isles in Vietnam. And since getting there means heading to nearby Hoi An Ancient Town, plan a trip to these islands around a short getaway to Hoi An from Danang." The Cham Islands - (also known as Cu Lao Cham) is a group of rocky islands 15 kilometers from the coast of Hoi An. The Cham Islands are a wonderful destination to spend a day. 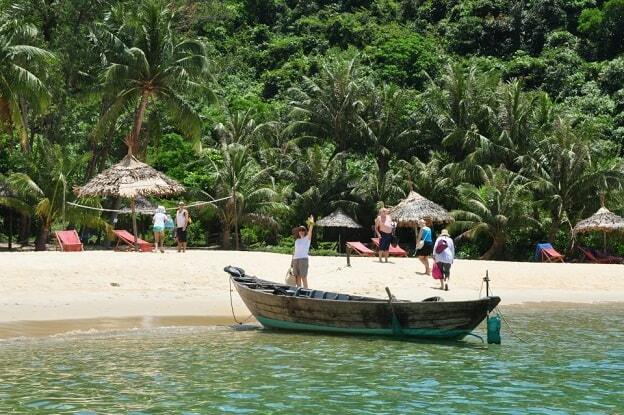 From Hoi An excursions are made to the islands, which are situated in an azure sea. Once the island was under strict military supervision and was forbidden area. Now there are day trips every day. 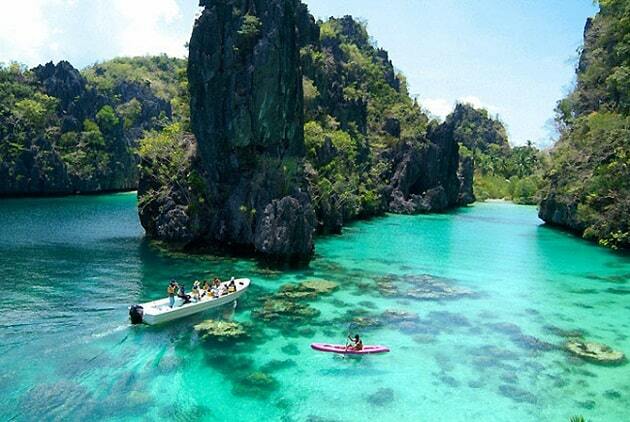 You can go diving or snorkelling at the coral reefs. You can even spend the night on the islands. That belongs to the possibility now. It is even so that the serenity of the islands being compromised. Especially the islands are flooded over the weekend and Vietnamese school with shiploads of tourists from the mainland. So plan your visit carefully for the crowd and the weather. You must plan your visit between March and September, because at other times the ocean is usually too rough. There are also plans to further developing the islands, as it has been done in Phu Quoc. Only the main island, Hon Lao, is inhabited. The other seven Chams are rocky, wooded spots. The rich underwater world has 135 kinds of soft and hard corals and diverse marine life. The islands are officially protected as a marine park. Fishing and collecting bird nests (for soup) are the two main sources of income on the island. 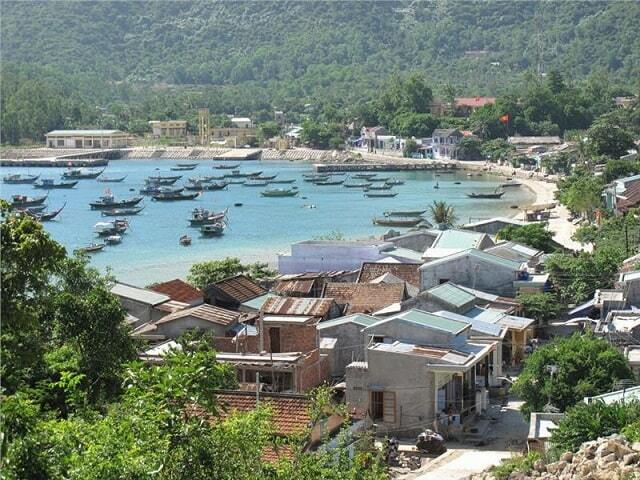 Bai Lang, the small port Hon Lao, is the main village, apart from two outlying hamlets. It's a relaxed place with sleepy lanes. The years offered the sailors protection from the rough waters of the South China Sea. Bai Huong, a fisherman's village 5 km southeast of Bai Lang, is an idyllic, but a remote location. Here is an excellent initiative taken for a homestay. If you want to stay on the islands, this might be a nice location. If you want to cycle it is possible to take your bike with you aboard the ferry. Then you can enjoy biking through the tea plantations, which are near the rice terraces, or you can explore other areas of Hon Lao. The only real peculiarity in Bai Lang is a modest temple, dedicated to the whales (and whale sharks). Previously, these animals swam in abundance around the Cham Islands. The people worshiped the whales as gods of the ocean, which offered them protection against the sea. When there is a carcass washed ashore, they cleaned the bones and performed an elaborate ceremony in the temple, before burying the bones. Unfortunately, whales are now only very rarely seen around the Cham Islands. The people here ask the blessing for the sailors. This Hai Trang Pagoda was built in 1758. Inside is a red painted sign with gold letters, a picture and a big bell. The Tan Hiep market is close to Bai Lang fishing port and is divided into two parts. The inner part is the site of the daily needed items; the outer part is where they sell fish and souvenirs. Remember to bargain when shopping. For those who like to immerse in the cool and turquoise water: Yen Bai Chong Beach Island and its popular beaches on this island. Cu Lao Cham Museum is the place where history, traditional customs and practices, as well as everything to do with the sea will be explained. Because all objects are well arranged, visitors can learn more about the culture of this island. A beautiful concrete path goes from Bai Lang to the southwest. If you follow this for only 2 km, you'll come along bays with a beautiful, secluded beach. Here it's a nice place. The sand is powdery and you'll see an azure sea. After swimming, you can rest in hammocks under thatched umbrellas, which are owned by the seafood restaurants. During the holidays, the beach filled with boats. There is a coming and going. Paths lead from the beach to the wooded hills behind Bai Lang.